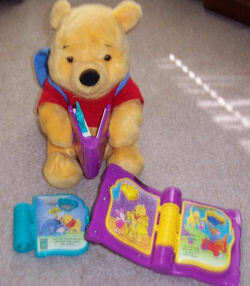 I’m looking for a 90’s Christmas voice recording mouse in red overalls. 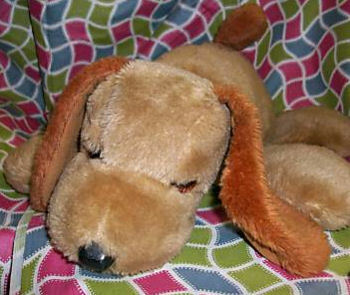 When you pressed his paw you could record a message. The other paw played it back. Searching – 80’s WHITE TALKING CAT Mattel HUGGY BUDDY Ow! That Hurts!! 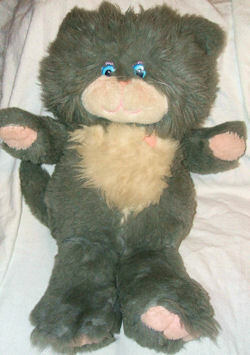 I am looking for the all white version of the Vintage Mattel Huggy Buddy cat. It would say, “Ow it hurts!” if you squeezed his ear. 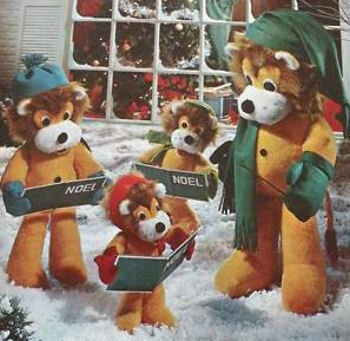 I’m looking for a brown 70s Rufus talking lion, with a pull string, an outie belly button, black plastic eyes, and a bushy mane.